It’s hard to believe that we are already entering the fifth year of the RII Track-1, Research on Adaptation to Climate Change and the third year of the RII Track-2, Northeast Water Resources Network (NEWRnet) programs funded by the National Science Foundation. Alan Alda Communicating Science Workshop, February 1 & 2, 2016 - Save the Date! Work being performed by RACC Post Doc Yaoyang Xu and RACC PhD student Peter Isles was recently featured in the Burlington Free Press. 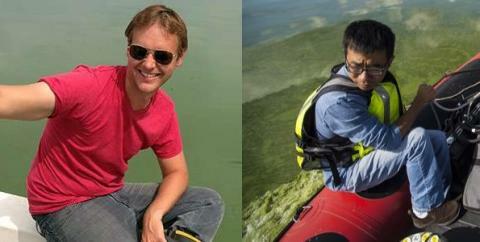 During the summer months, Yaoyang and Peter collected data pertaining to the cyanobacteria bloom (blue-green algae) on Missisquoi Bay. A warming climate provides cyanobacteria with longer growing seasons and greater opportunities for toxin production. A recently announced $7.4 million, five-year grant from the U.S. Department of Agriculture will place the University of Vermont at the forefront of a national effort to reduce the impact of catastrophic disease outbreaks within the U.S. livestock industry. 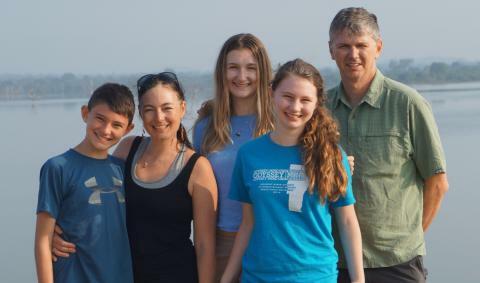 One of the key components of the proposal is the UVM Social-Ecological Gaming and Simulation Laboratory (SEGS Lab), established with funding from the National Science Foundation’s Experimental Program to Stimulate Competitive Research (EPSCoR). 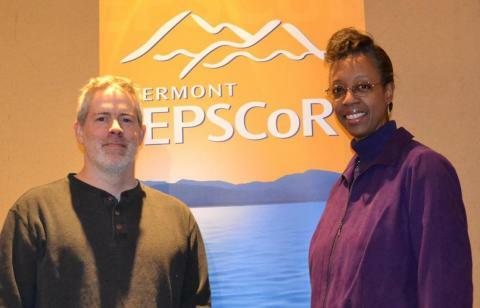 On March 30, 2015, the VT EPSCoR Center for Workforce Development and Diversity (CWDD) hosted a Workshop on Mentoring Diverse Groups for members of the Research on Adaptation to Climate Change in the Lake Champlain Basin (RACC) group led by Drs. Lesley-Ann Dupigny-Giroux and Jason Stockwell. Workshop attendees included faculty, postdocs, grad students, and staff who will interact with undergraduate and high school students throughout the year and during the summer research internships. Summer internships start during the first week of June. During the workshop, mentors discussed how to effectively mentor diverse students. 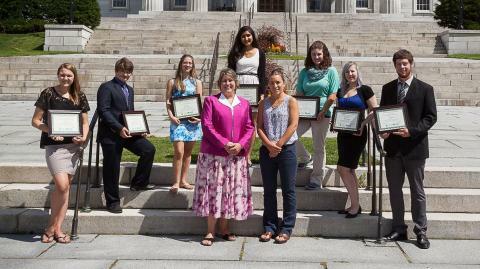 Seven Vermont college students were awarded a total of $35,000 in VT EPSCoR Native American and First Generation College Student Scholarships for Science, Technology, Engineering and Math (STEM) at the Vermont State House on August 5, 2015. 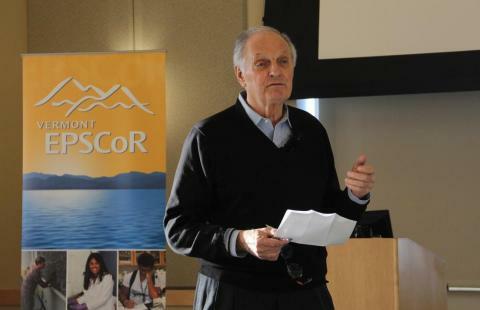 Vermont EPSCoR hosted the Alan Alda Communications Workshop on February 3rd, 2015 at the UVM Davis Center. The goal was to help participants learn to communicate more effectively about science with people outside their field, including the general public, policy makers, the media, students, potential employers or funders and prospective collaborators in other disciplines. Through discussion and practice, we focused on fundamental skills -- knowing your audience, connecting with your audience, and speaking clearly and conversationally about your work and why it matters. 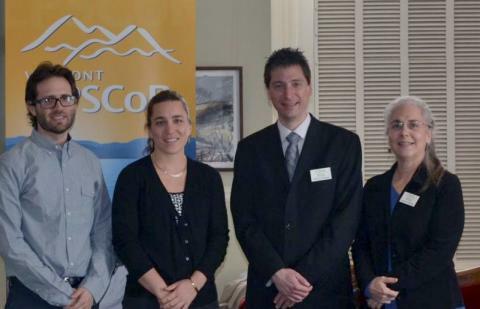 Vermont EPSCoR visited legislators at the Vermont Statehouse on Friday, March 20, 2015. 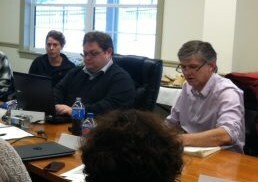 The group shared recent news and provided information about VT EPSCoR's impact across the state. Many legislators stopped by to learn about the high school outreach program, the research and cyber-infrastructure improvements that VT EPSCoR has invested in partnership with numerous stakeholders and aligned with state priorities. VT EPSCoR CWDD hosted the 7th annual Student Research Symposium on Monday March 30th, 2015. 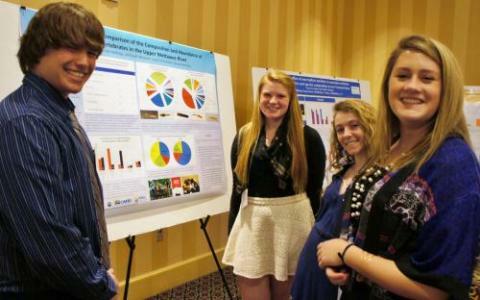 This event showcased student research contributions to the Research on Adaptation to Climate Change (RACC) program and connected undergraduate and high school students with scientists, managers, and other interested state and local groups. RACC research is important work, and the CWDD is proud to work with so many wonderful young scientists in this effort. Professor Christopher Koliba received a Fulbright U.S Scholar award. The Fulbright U.S. Scholar Program provides approximately 800 teaching and/or research grants to U.S. faculty and experienced professionals in a wide variety of academic and professional fields. Grants are available in over 125 countries worldwide. With this prestigious award, Professor Koliba traveled to Sri Lanka where he worked in the Zoology Department of Colombo University. His work focused on a comparative analysis of community resiliency in Sri Lanka, especially as it relates to civil war, natural disaster and climate change. 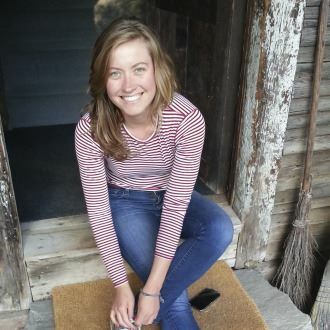 Catherine Collins was recently named Vermont EPSCoR Diversity in Entrepreneurship Fellow at the Vermont Center for Emerging Technologies (VCET). 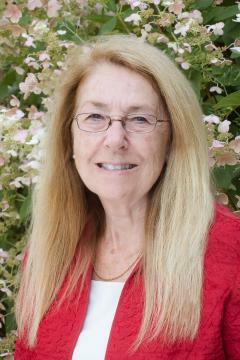 Catherine will be responsible for developing and sustaining a diverse community of entrepreneurs throughout Vermont. She will focus on skills development, mentorship and networks required to help start, fund, scale and sustain new technology based business ventures. Specific focus areas are developing capacity building and outreach programs to increase participation and exposure to entrepreneurship from students and alumni of Vermont Colleges and Universities, develop a greater representation of women and minority entrepreneurs and stimulate entrepreneurship capacity and activity across Vermont, including rural areas. The RACC Policy and Governance Team (Q3) has been working on developing an agent-based model of water quality management in the Lake Champlain Basin. On December 12th, the Team held its third focus group with local stakeholders, this time examining the details of how agricultural technical assistance is being done in the Missisquoi Watershed. This focus group invited a range of representatives from stakeholders, including both providers and consumers of technical assistance. 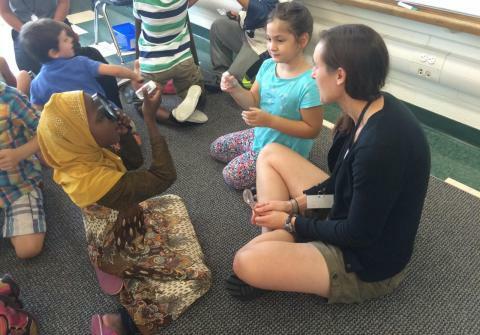 In early September, the VT EPSCoR Center for Workforce Development and Diversity (CWDD) visited the J. J. Flynn Elementary School in Burlington, VT to explore what it means to be a scientist and to use some of the tools of the trade. Working with STEAM teacher, Courtney Asaro, St. Michael's College professor, Dr. Declan McCabe, introduced 5th graders to microscopes and the wonders of macroinvertebrates, and engaged 1st graders in the life of a scientist.